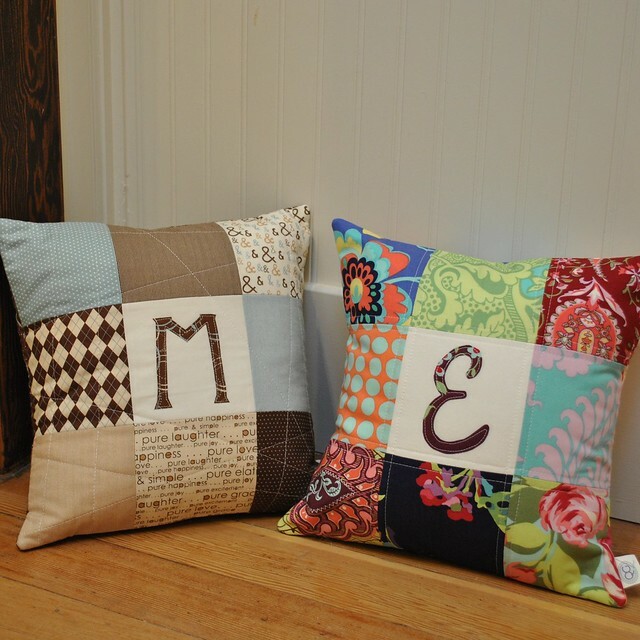 Personalized Pillows - Charm Pack Friendly! I'm still blogging about Christmas gifts...at this rate, it maybe be Easter before I get through them all! There was a common theme this year, which was that I gave gifts to several friends and their families. Typically I sew gifts for my family and a few close friends, but this year I wanted to do something more. It has been a rough year for a lot of people, and I wanted to help in some small way. So a few friends received surprise packages with gifts for their families! This is the first set of gifts that I made, which I sent to a friend who bought her first house and moved her family in right before the holidays. 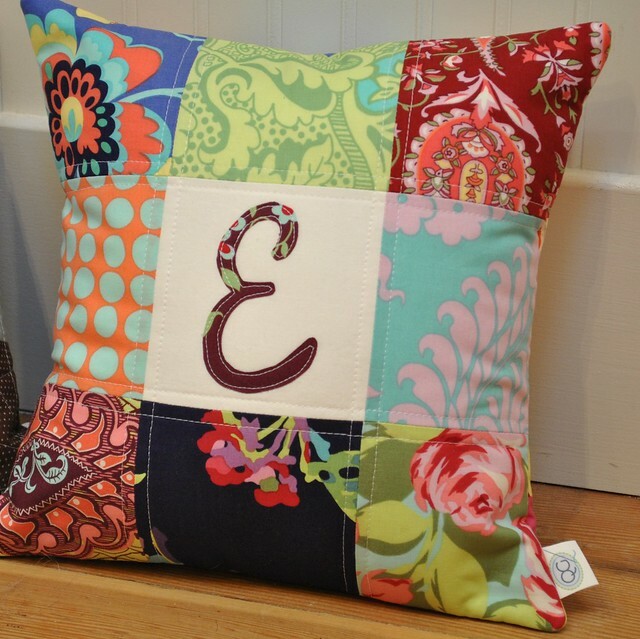 For the kids, I made them each a pillow with their first initial appliqued on the front. I don't expect my friend to decorate the kids' rooms around the pillows, but I thought that a little special something for their new rooms would be a fun gift. These came together really quickly and easily. 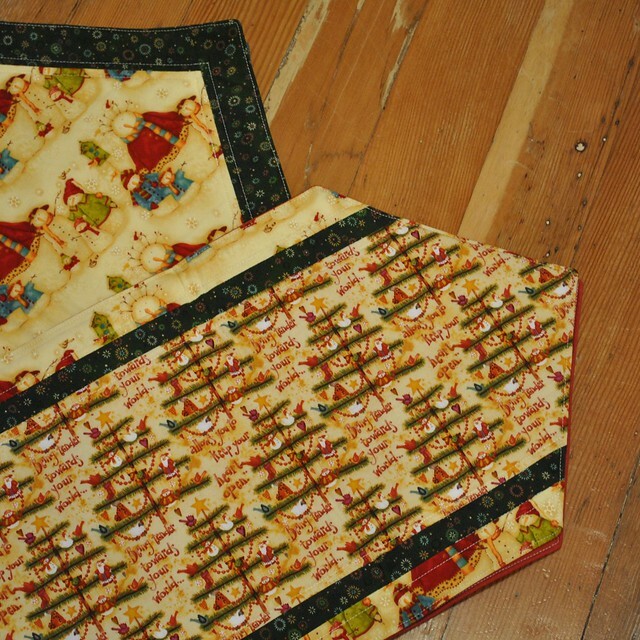 I used a charm pack for each pillow and did a tiny bit of quilting on the pillow fronts and backs. 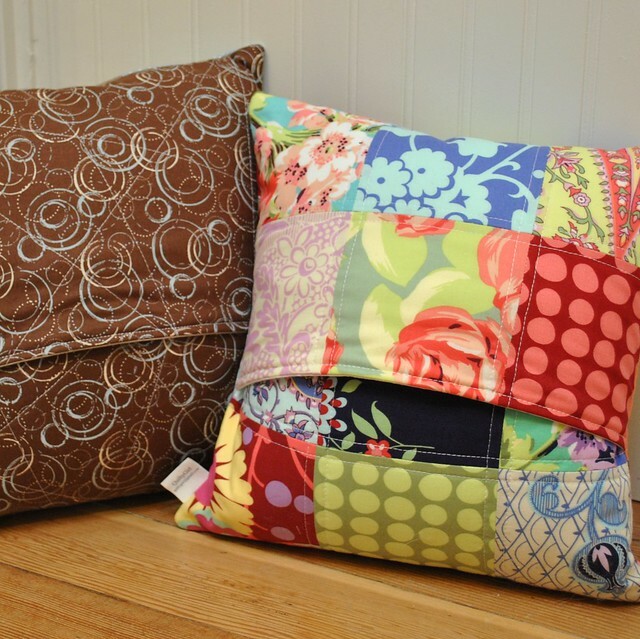 The M pillow is made from Pure by Sweetwater and the E pillow is made from Love by Amy Butler. 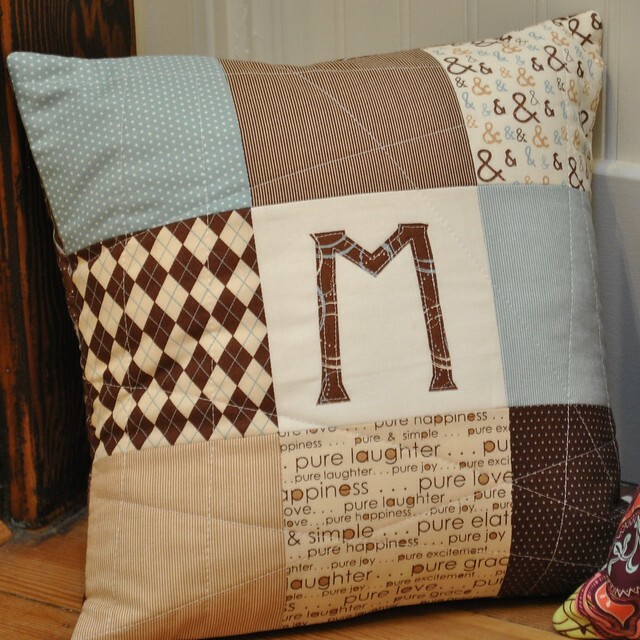 For the M pillow I quilted random straight lines. I love the look of this quilting, and I think it's especially nice on boy quilts and pillows. I quilted the E pillow with straight lines as well, but this time I quilted 1/4" from the seams. I never tire of this quilting style either! I had a bit of yardage for the back of the M pillow, and I used more charms for the back of the E pillow. I finished these off with simple envelope closures. Along with the pillows, I sent my friend a Christmas table runner. With the move so close to the holidays, she did minimal decorating at her new house. The table runner was the perfect little festive touch!